I have an exciting product to tell you about and I’m going to try and explain why this product has made a difference in my skin. Snowberry’s New Radiance Face Serum was founded by Soraya Hendesi to provide authentic skincare. This serum uses something called copper peptide which is a naturally occurring protein that has been used for wound healing. Snowberry has proprietary technology (trademarked as Cu-PEP) that enhances the effectiveness of the peptide’s absorption into the skin to help firm and re-plump skin. Published clinical trials suggest that the serum actually outperforms OTC Retinol-based anti-aging products which is awesome news! Retinol can cause skin sensitivities and can take a longer amount of time to see wrinkle reduction unlike Cu-PEP. Those with sensitive skin like me will be happy with this news! The results are known as ‘skin remodelling’ because it stimulates the production of structural proteins as well as the natural anti-oxident system of the skin. Is that enough science for ya?!? Let’s get to the fun review! 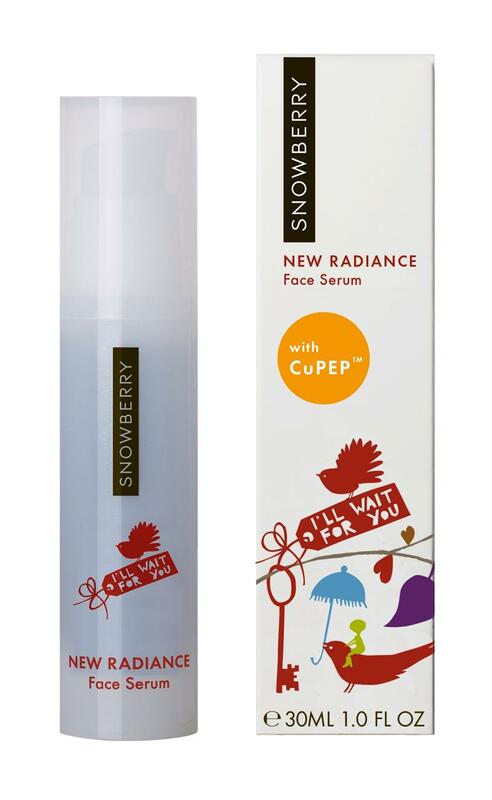 Snowberry’s New Radiance Face Serum has made a big difference in my skin by reducing fine lines without irritation. The serum is a clear gel that is applied after cleansing and before moisturizing. It absorbs fast and you only need a little bit to cover your face and neck. I was actually quite surprised when I started to notice a ‘plumper’ appearance to my face in just two weeks, and the difference was noticeable to me and my husband! Remember the copper peptides I was talking about? As we age, our body produces fewer copper peptides (a natural skin healer), so it actually makes sense that applying and absorbing it directly to your skin would enhance its appearance. The only issue is being able to purchase the serum as it sells internationally and has seen worldwide shortages, so it’s a best bet to visit the Snowberry website directly to purchase. For the price, it’s a fantastic deal for an OTC anti-aging product and it actually works! Directions: Spread thinly over the face and neck in the morning and evening after cleansing.